After weeks of power cuts and limited access to water, tens of thousands of Venezuelans took to the streets on Saturday to back opposition leader Juan Guaido and protest against President Nicolas Maduro. Many Venezuelans, already suffering from the effects of hyperinflation as well as food and medicine shortages, say the crisis has worsened over the past month with nationwide power outages, which has also resulted in water supply and communications failure. "We didn't come here to just demand water and electricity, which are necessary. 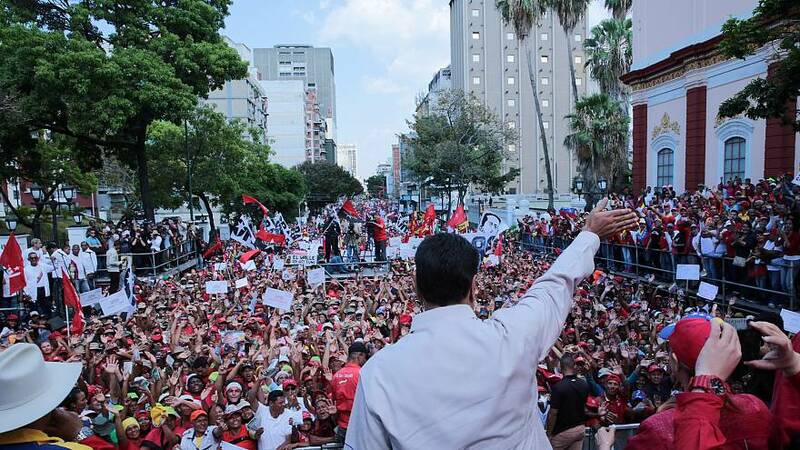 We came here to demand liberty, democracy, food, a future, education," Opposition leader Juan Guaidó told the crowd. But Maduro, retains the support of the military and powerful allies including Russia and China. "Mr Donald Trump, take a good look at the face of these people, because these people will continue to defeat you and your despicable aggressions a thousand and one times. You haven't been able to, and you won't be able to defeat Venezuela." In early March, the government of President Nicolas Maduro called energy blackouts an act of “sabotage” by the opposition. On Friday, the U.S. government took another step in its efforts to force Maduro out, by imposing new sanctions on Venezuelan oil shipments. It also promised "stronger action" against key Maduro ally Cuba for helping to keep his government afloat. US Secretary of State Mike Pompeo has blamed Maduro for the situation. "No food. No medicine. Now, no power. Next, no Maduro," Pompeo tweeted in March. The last time Venezuela suffered major blackouts was in 2008 and 2013, affecting significant parts of the country, but they were resolved in less than six hours.